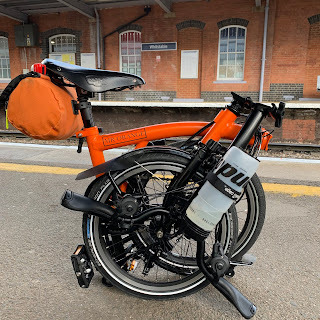 My Orange Brompton: 1000 Views! At last. 1000 views has been reached! I wasn't even around to see it as I have been away for half term in the back of beyond, where 3G, wifi and even a phone signal was impossible! For those of you who have viewed any of my ramblings, thank you. I now have to get to 2000 views.